Home > 2013 > Event > THE WORLD > THE WORLD 2013 STAGE5 Live Webcasting! 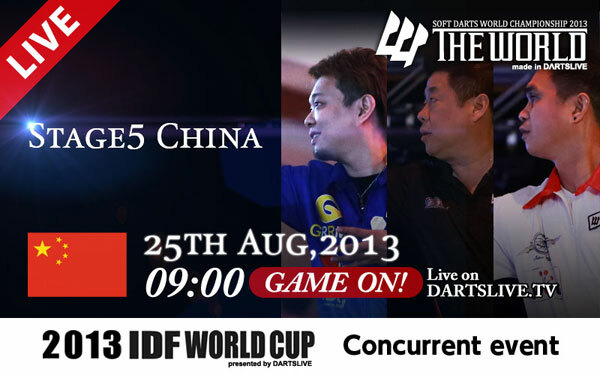 "THE WORLD SOFT DARTS WORLD CHAMPIONSHIP 2013" will be covered in a live webcast on DARTSLIVE.TV. the concurrently held event of THE WORLD 2013 will be webcasted live. *This content cannot be viewed on smartphones. >>Click here for THE WORLD 2013 Official Website!